How do people form decisions on subjects of science in their lives? I was puzzled by this, so I conducted a personal survey/quiz of friends and associates with 10 simple scientific questions. I mean simple. Yes, it was kind of like the "smarter than a lousy 5th grader" show - except it was more like a 4th graders science. Almost everyone I quized had earned College Degrees. One was a recent high school graduate. Everyone, except one, did very poorly on the quiz, including the recent H.S. gradutate who was said to be very good at science. I will give you an example of one question: What is the boiling point of water? -answer in fahrenheit or celsius acceptable. Results, almost no one got it right. This was just a typical question and result. I quickly became embarassed. Most of them said they would just "Google" this information. Yes and you can also just U-Tube your politics. I was inspired to do this quiz while watching NBC News and I heard their Science Reporter get the Speed of Light WRONG. Not just kind of wrong - very wrong. And he gave the speed in Miles Per Hour! This is very basic science, and he was NBC's science reporter. This may seem petty, but it is like an artist with a College Degree in Art History saying that Picasso painted the Mona Lisa. The reporter then proceeds to lecture the viewers on some vast life altering scientific concept, accompanied by an inset of a nodding Anchorman. And I have a question for the Anchorman; Who is the Prime Minister of Canada? He will probably say "Let me Google that'. Alex walked to the spot where the girl had vanished. He had heard that ghosts were accompanied by a cold presence, a lack of the warmth of life. Alex didn’t feel anything cold, but he was overcome with a sense of worry. He looked around searching for the object of the ghosts attention. He fingered gingerly beneath the window sill. Alex remembered the security checks at a previous job... he recalled being told that most people foolishly hid important keys underneath their own desk drawers and other obvious fixtures. There was nothing under the window sill, or above the door frames. He was sure that the “ghost girl” was worried and searching for something. Something that filled her with a visible anguish. There! Between the floorboard cracks. - A sliver of white; the corner of a piece of lined note paper. Alex took a needle nose pliers from the kitchen junk drawer. He yanked and pulled and fished at the edge of the paper. He pulled it out from under the floor after years of being walked over and remaining hidden. After Alex retrieved the note, he sat down and read it silently. It was the tempestuous hand written note of an upset young girl. She protested being left alone so much by her mother and father. She told her father to go off and leave her alone. It was a young girl’s confrontation and threat, and it was signed; “Lorraine”. Alex guessed that it preceded the death of the girl's father while sailing, casting a dark cloud over her father’s death. Did the father read the note, and did he hide it? Alex fumbled for his real estate notes and found the names of the family, and Lorraine’s last phone number in New Haven. Alex sat back, poured himself a cup of black coffee and dialed the number. Lorraine awoke from her sleep with a sickening start. She had been having a recurring dream. The dream had variations, but theme remained the same: She was back in Minnesota, alone in their old house by the Lake. She was searching the living room for a note she wrote to her father so many years ago. What had happened to it? She needed to get the note back and destroy it so that no one would know the terrible things she had written! But a strong wind from a window blew her backwards, pushing her out the front door and away from the house. Then there were the voices, and police lights, and the rush of people around her... she went spinning away. Now Lorraine sat up in bed. Once again she had been visited by the nightmare of her father’s death. She was filled with sadness, and the pain of a secret she had kept to herself for so many years. Lorraine answered it and heard a gentle voice at the other end. ”Is this Lorraine?” Asked the voice. “My name is Alex. In my house where you once lived, I have found a note you wrote many years ago”. Deephaven Education Center. All you need to know. Please read they Keewaydin story in order.. 1, 2 and 3.5 (go figure) - and it looks as if I couldn't quite pull it off in 3 episodes. Fourth and final to come shortly. 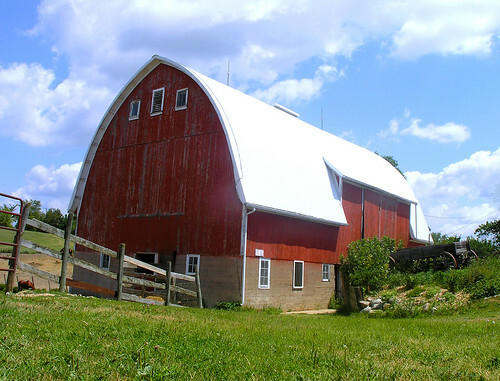 Rustic, An actual working barn in St. Bonifacious. Lorraine left the Deephaven School and rode her cool blue CITOH 10-speed bicycle across the bridge to Cottagewood. She “tacked” her way into the wind, up Cottagewood Avenue and by the General Store. She made a short turn and arrived at her house. It was a blustery autumn day, but the sun was warm. When she opened the front door she found the house quiet and empty. It was Friday. Mom was off traveling again and Dad would not be home for hours. When he came home he would be frazzled and he would hurriedly rush out to sail his boat alone. 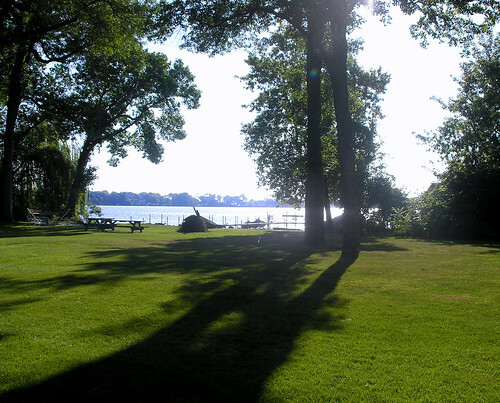 He "would invite her along”, but he was going to meet some friends in Wayzata Bay. It seemed to Lorraine that is all her Dad cared about on weekends. Sailing, his friends in the Wayzata Yacht Club....and to get away from everyone else. She was left alone again, but today she was going to do something about it. A girlfriend’s 16 year old brother had invited them for a ride in his hot new Monte Carlo. Why not? Who cared what she did? The more she thought about it the angrier she became. She wrote a note to her father telling to “go ahead by yourself and sail your stupid boat, I don’t care anymore, I am going out to have some fun.” Strong and confrontational stuff from an eleven year old. She placed the note on a small table by a window and weighted it down with pennies from a jar. Note; For the few who are keeping up - The final chapter of Keewaydin this weekend. Keywaydin. 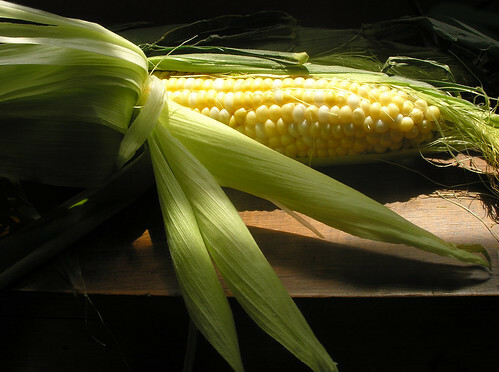 In Dakotah it means "A Northern breeze". Alex awoke that night at 2am, his mind restless as it wrestled with the haunting puzzle. “It didn’t make any sense” He thought. It was peaceful at 2am. No boat motors, no cars. Just a cool breeze and the reassuring distant rumble of the train from Wayzata. He got up and walked downstairs. A soft moonlight partially filled the room. The vision was mildly disconcerting to Alex, but harmless enough. He had never told anyone....and considering special effects movies and technology, the little girl vision seemed simple, low tech and underproduced. But it was real. Earlier that day Alex had made calls to Hennepin County Property Records, and the Realtors involved in the prior sales of his house to get a better understanding of the house’s prior owners. A former owner had moved to California for a blossoming writing career. The couple before him was quickly, and amicably divorced. Only the owner in the seventies had a daughter.... but she was alive and in her early 40s. She lived in New England. Alex walked to where the figure had been standing. 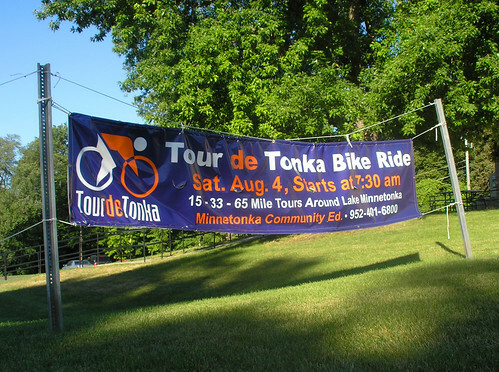 Coming to Deephaven Saturday, August 4th is the very enjoyable "Tour de Tonka" bike ride. Distances are: A 15 mile family ride. A 33 mile loop around part of the Lake. A "Challenge ride" of 65 miles around the Lake with additional distance added just for aggrevation (actually this should be a breeeeze for those who sport the complete cycling outfit). You guessed it, I plan on the 33 mile ride on my aged Trek 410. I will post more as the event approaches. 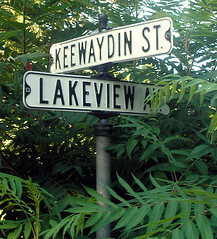 Today readers get a brief respite from the continuing "Keewaydin"series. Part 2 is coming soon. Alex saw the shiny copper coin sticking out from a crack in the wide slatted flooring. A 1909 Indianhead Penny. Not in mint condition. He fingered it gently, then placed on the mantle. Another little oddity in a house filled with little oddities. Alex and his wife had bought the aging house years ago for its lakefront property, and the house had a certain “New England Seaside” quality... or what they envisioned that would be like. It was rustic and charming, with lakeviews... but it was in need of constant repair. It was a perfect house for a sailor. 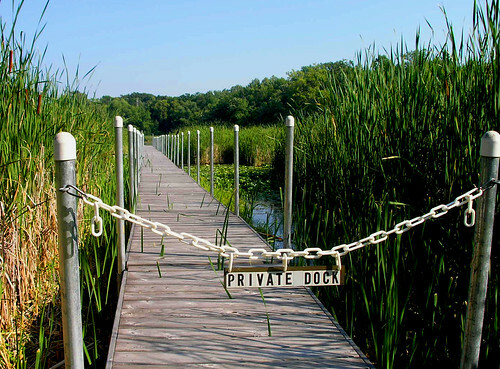 I had a private dock and storage on the Minnetonka lakefront. 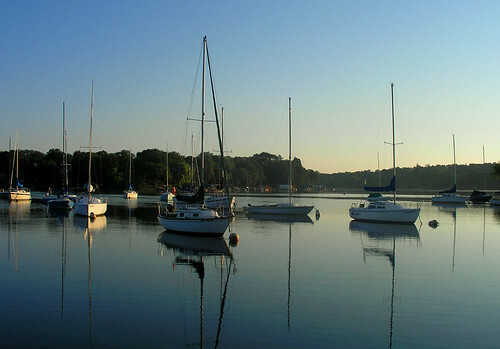 Many of the previous owners had sailed out onto Lake Minnetonka over to Wayzata Bay to join the caucauphony of sails. On a lovely evening the boats are a pretty sight. The sails seemed like white butterflies. Alex did not sail. He kept a 20ft. inboard/outboard Crisscraft in storage. This year it would remain in storage, and the dock would only accommodate some weekend fishing. He stood at the top of the staircase and peered out a small window across the Lake. A previous owner of the house had died on the Lake on a Friday after work. He had gone out sailing alone on a breezy evening, and the boom from the mast swung around striking him in the head. He fell into the water and was drown. His body and boat were found shortly after, floating in Robinson Bay. This was some time, and a couple of owners ago... in the seventies. That is about all he really knew about the incident. The house went up for sale and news owners moved in quickly. He always thought that if his lake house were to be haunted, it would be by this past hapless owner, but that was not the case. He walked down the stairs and got himself a cup of coffee from the kitchen. He tooked a first strong gulp. Looking out a street-facing window he could see the newspaper had been delivered. An occasional runner passed, making the loop that naturally occurred when running the local streets on this penninsula. 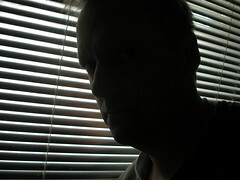 As he looked out he noticed a car cruised slowly by, taking inventory of the neighborhood. It looked like an old Monte Carlo. From the passenger’s side a young blond girl pressed her face to the window and stared with eyes wide opened. She motioned her hands in front of her emphatically for the driver to stop-right-here! The door opened, and to Alex’ surprize the young girl ran up his front walk to his front door and rang his doorbell. He walked to the door and opened it to find a pretty young girl, 9 or 10 years old, standing there solemnly with her arms folded in front of her. “You do not know me but...” she began quietly as if reciting a speach. Alex interuppted her. He was quite startled. At this she looked up, turned, and ran back to the car. The Monte Carlo briskly drove away. Alex stood there in motionless amazement. Partly truth, partly fiction. 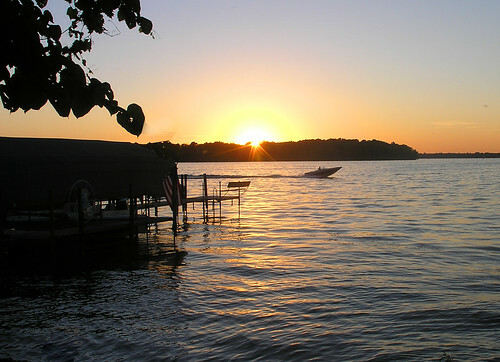 The Lake hold its secrets from Ancient Indian Mounds to drivers crashing through open water when it is 25 below. But no need to be morbid. I do not believe in ghosts, I hope for them though.